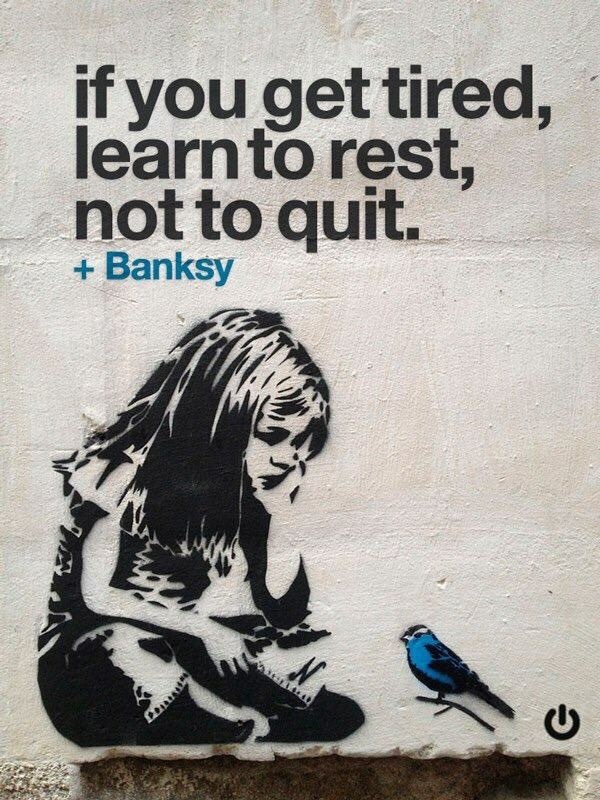 I am sharing the wonderful Banksy quote that has been making the rounds on social media. Rest is so important, especially if you live with a chronic condition. Let’s rest, and then get back up again. Previous post Getting Ready for South Africa!